Vegetable Beef Soup is one of the best parts about chilly weather y’all! It’s warm and hearty and if you make it right has a ton of flavor packed in it! If you’ve been following me at all then you know I am obsessed with soup! August temperatures do not keep me from it. More than likely however, you like to wait for cold weather or at minimum brisk coolness to partake. My vegetable beef soup is a really perfect for cold nights and lazy Sundays. The super secret detail is, it’s ready in an hour because I am using ground beef instead of beef stew and this is freezer friendly! Confession: I am slightly in the habit of stock piling soups and could possibly live on them foeva if need be. It’s true; I make soup every week and I agree it’s strange. I love all kinds of soups and love creating one that is somewhat different from your Mama’s version. The best part of that habit though is I love to make huge batches of soup and freeze it and pull it out through the winter. So, that one day when I am craving this Vegetable Beef Soup I can take out my individual servings and live it up without making a new batch. #winning! I have tendencies to want things to never end. I can actually state this is 100% true because I have this super frustrating habit of never finishing tv series. 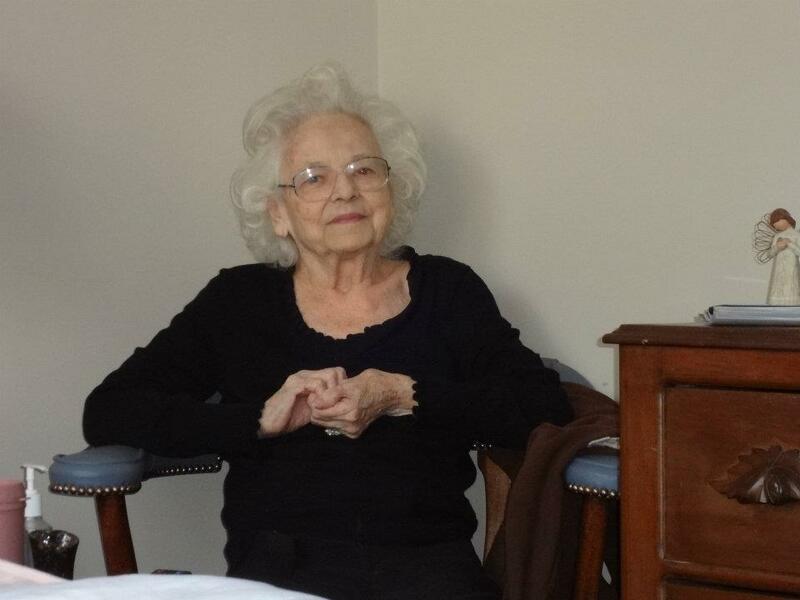 It’s like I can’t handle saying farewell. First things first you start out with your Mise en place. Ha. I feel smarter even having used that in this post friend. Vegetable Beef Soup has to start somewhere so for me it starts with fresh veggies that marry well together and benefit from a nice saute to bring out their flavors. This entire meal comes together in about an hour but, you will spend about 10 minutes or so prepping your ingredients! Mise en place (MEEZ ahn plahs) is a French term for having all your ingredients measured, cut, peeled, sliced, grated, etc. before you start cooking. 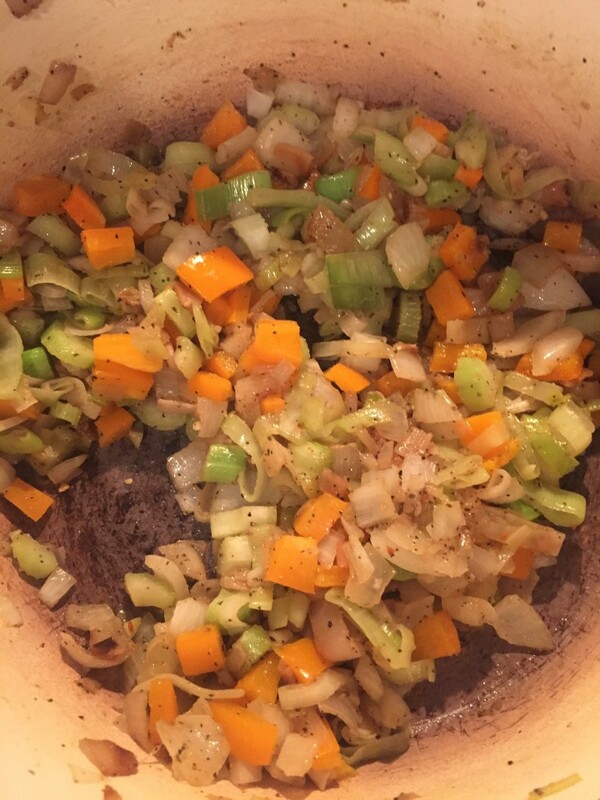 Leeks, vidalia onion, orange bell pepper, and celery diced as similar in size as possible. There will be no disgusting cooked carrots found in my soups ever. They are overdone and unnecessary but, I always miss their color. I add orange pepper for that reason. Nothing annoys me more than when I try a new soup somewhere and they’ve filled it up with carrots y’all. 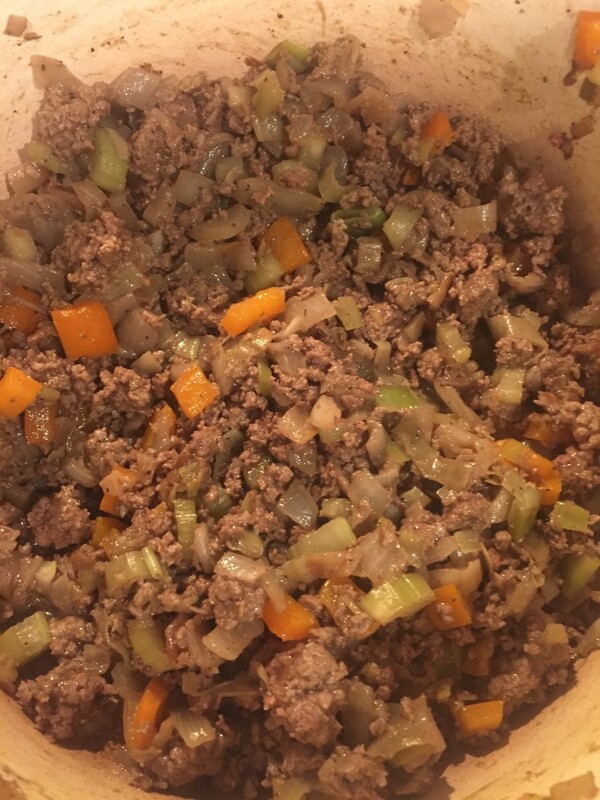 When the veggies are almost tender I add in some minced garlic and then I add my ground beef! Call me crazy but, I am such a visual person that I love to pick ingredients based on color alone. I’m sure you can’t tell that based on all the photos I’ve posted in this recipe though, right? Now that the beef is cooked and you’re drooling let’s wrap up this part by adding in all the remaining veggies! 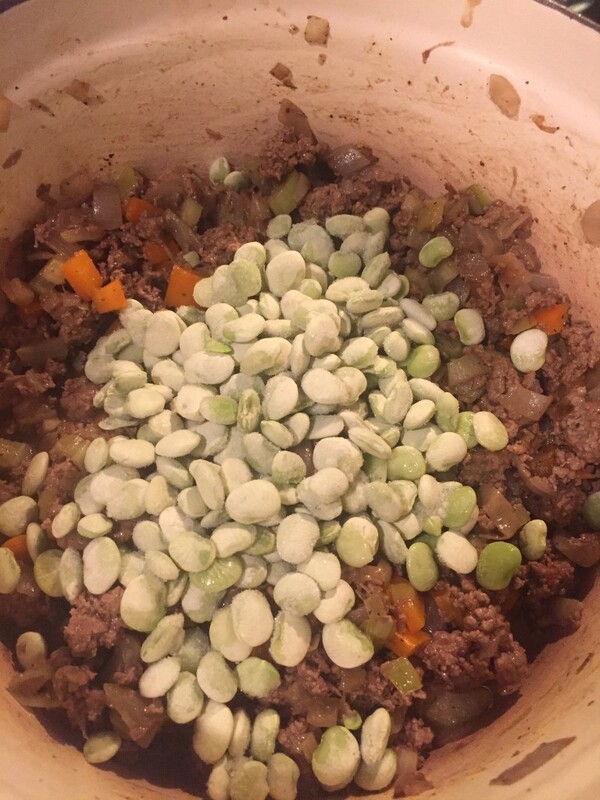 Baby Lima beans are vegetable beef soup’s best fran y’all. Not the big ones but, babies. This is important friend: Whole tomatoes are always to be used! Don’t waiver on this requirement! Muir-Glen makes the best ones as you’ve heard me say and I like to use this brand in all my soups. I pour them into the pot and by hand squish them for some unevenness but, thus adding crazy good amounts of tomatoes! 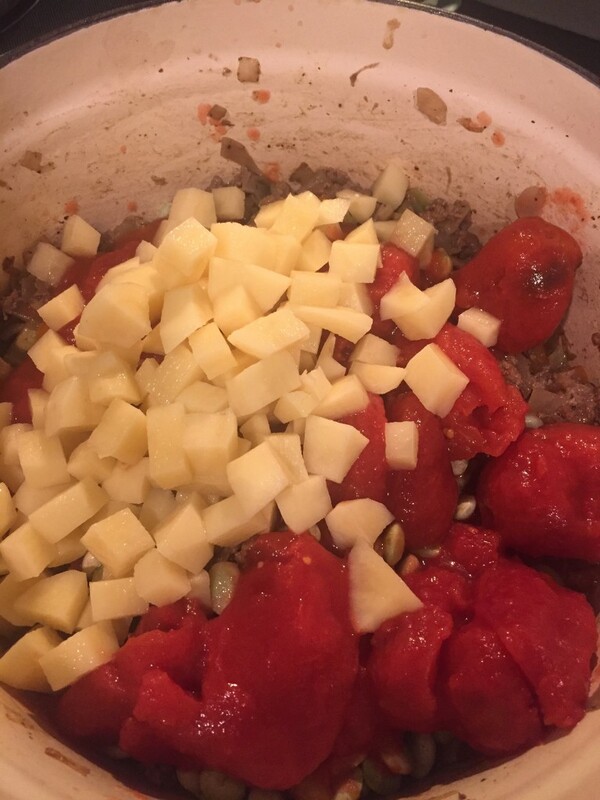 Diced tomatoes just don’t mesh well with my Vegetable Beef Soup. Dice your potatoes small to match the size of the other veggies you cut up! 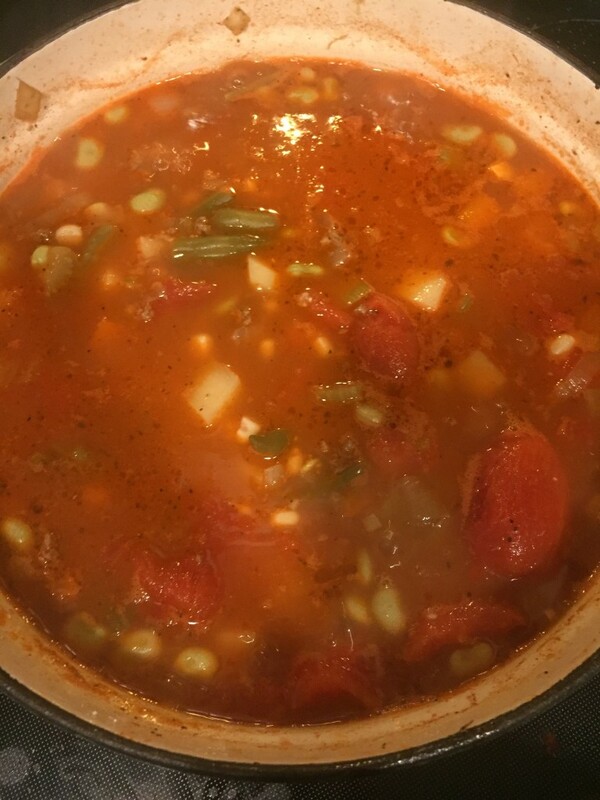 Throw in your green beans and if you can freshly shucked corn because it makes such a difference in this soup! Now add in 4 cups of chicken broth or veggie broth and 3 cups of water and all your remaining seasonings. It will smell so good and look like murky ketchup water. ; ) Bring it up to a boil then reduce to low-ish let it cook for 25-30 minutes! Then you get to eat it! 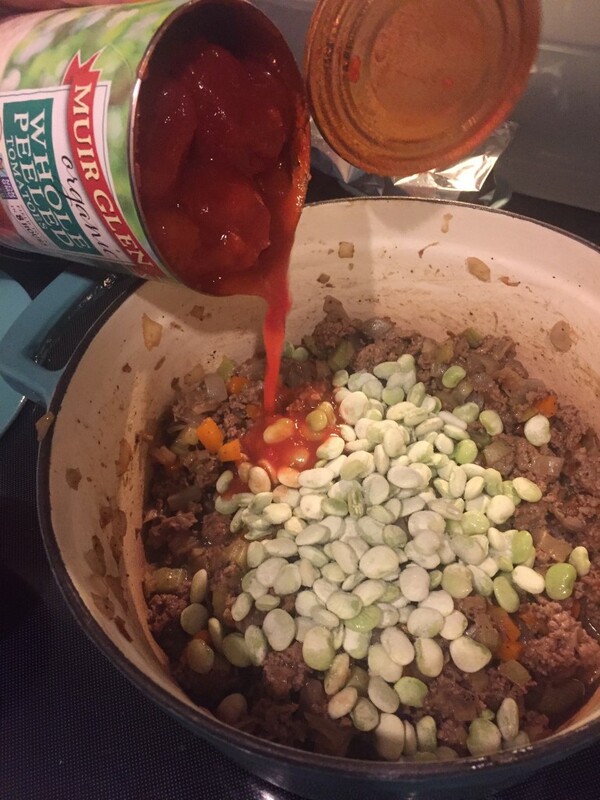 *You can totally use ground turkey if you want or leave out the meat all together. Sometimes we just eat vegetable soup and i’ts amazing. *If you don’t have fresh veggies or just prefer canned I’d drain and rinse them to keep the extra sodium away. *Adjust your salt as needed because we’re all different that way. *Use good tomatoes and low sodium broth because it’s just better for you and in flavor. Too much salt is gross. *I always serve this with saltine crackers because that’s how my grand-mama and my mama and my daddy would do it. This recipe makes 8 good servings! 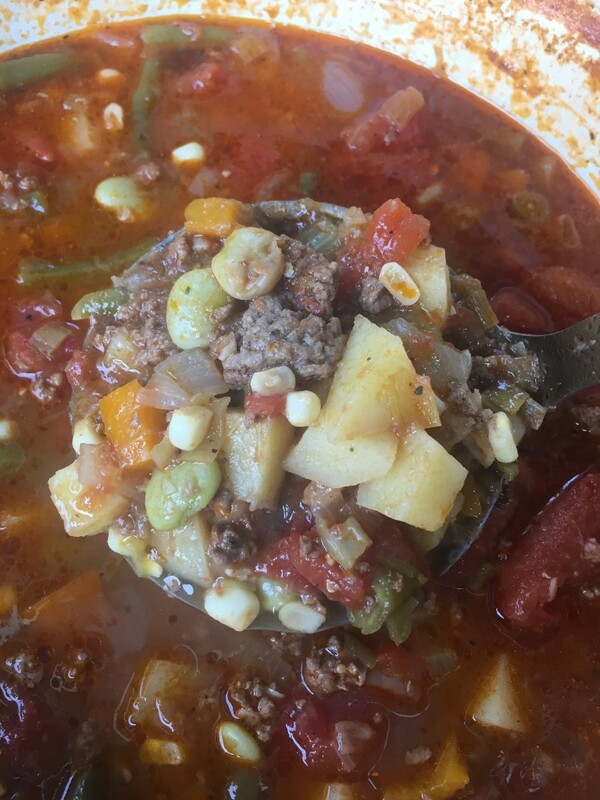 Just look at this crazy good and healthy vegetable beef soup! You can make it and be a complete dinner boss friend! Thank you Jesus for this grace! Add your olive oil to a pan and heat then add these veggies. 2 minutes later add your beef and 1/2 teaspoon of salt & 1/4 teaspoon of black peppper. Let the veggies get tender with the beef to flavor it. 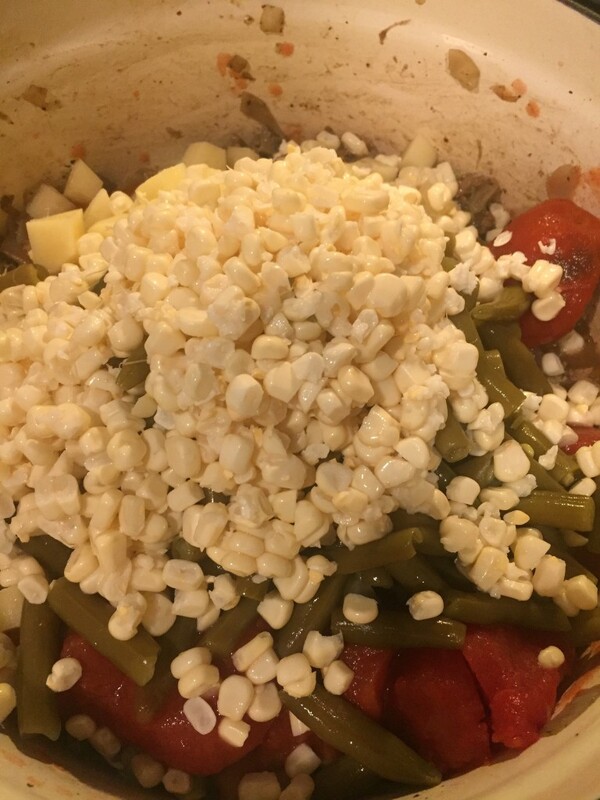 add all your other veggies: corn, string beans, potatoes, baby lima beans & tomatoes. Use your hands to squish each whole tomato up! Bring to a boil then reduce heat to low and let simmer for 25-30 minutes. Serve with some crackers or good bread. Freeze left-overs if there are any! 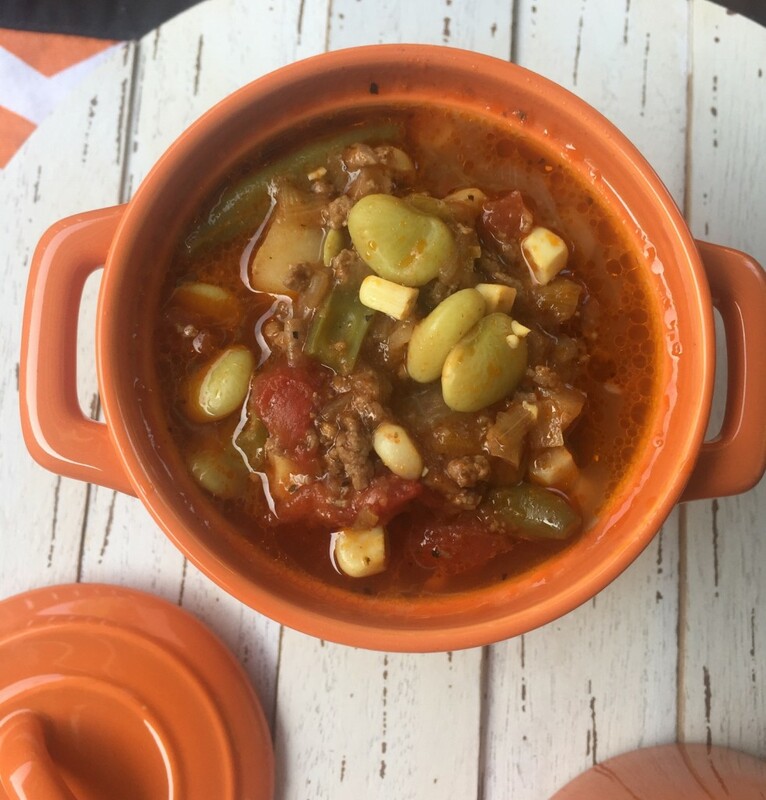 This entry was posted in comfort food, Easy, Soup and tagged #amazing, #blog, #brunch, #fall, #feedfeed, #food, #foodblogger, #foodie, #friday, #goodness, #happy, #healthy, #hearthealthy, #homemade, #HUFFPOSTTASTE, #instagram, #jenniferbakes, #jkbakingcompany, #love, #Muirglen, #nomnomnom, #october, #pinterest, #pumpkins, #recipe, #september, #soup, #summer, #thankful, #thatsdarling, #thebakefeed, #thefeedfeed, #tomoatoes, #vegetablebeefsoup, #vegetarian, #vscocam, #weekend, #yum. I absolutely love soup! Especially beef soup. I am going to save this and try it out. I looks really good. 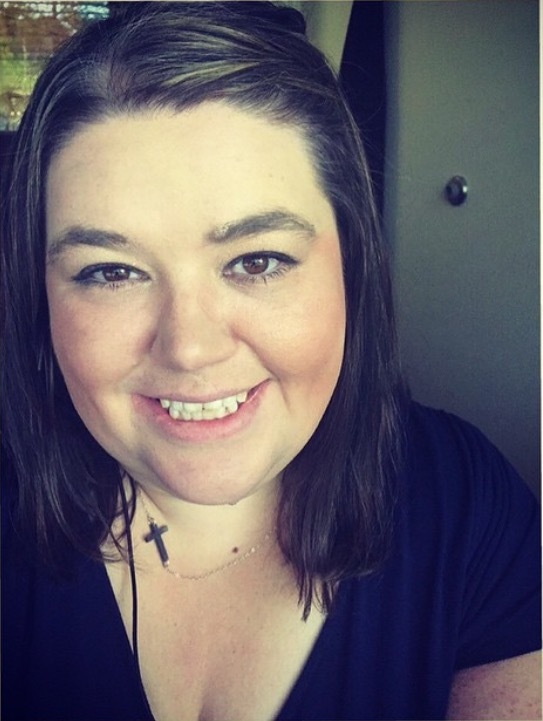 Thank you, Aleah! I love that I can freeze it and eat it whenever I want. Thank you for stopping by! This looks SO delicious and so perfect for fall!! This looks yummy!! Going to save this one, so that I can make it sometime soon!! This looks amazing, I can’t wait to try it out! This looks really good! Would be great for a cool night.